Hi everyone, it’s Kimberly with Get Away Today, here to talk to you about the Disneyland Resort. Can you believe that the year is almost over? It feels like yesterday that we were enjoying the warmth of springtime and poolside fun during summer break. However, if you’re like me and have the winter blues, there is no need to fret! 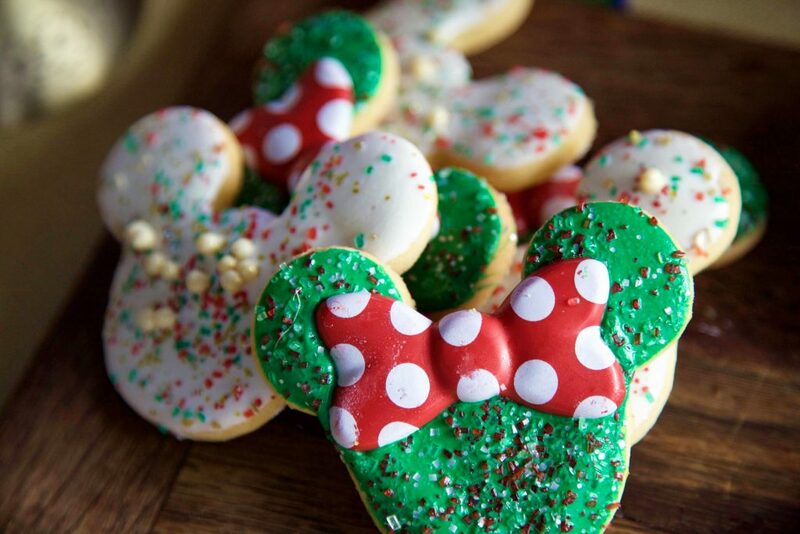 The Holidays at the Disneyland Resort are just around the corner and are sure to bring you holiday cheer. 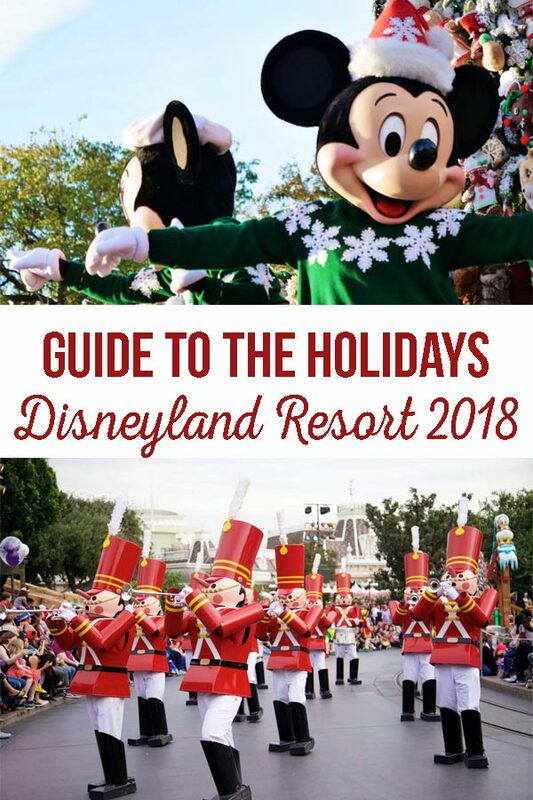 Whether you’re planning a holiday vacation or have a trip already booked, here is our ultimate guide to Holidays at the Disneyland Resort in 2018. Giant Christmas Tree – Main Street, U.S.A.
Not only will you be able to see some of your favorite locations decked out in boughs of holly, but you can also catch your Disney pals dressed in holiday attire. Mickey and his friends flaunt “ugly” Christmas sweaters, Santa hats and more during the celebration. Because of this, we’d recommend getting a fun, family photo with all of your favorite characters for a Christmas card to remember. Plus, you won’t want to miss out on meeting the big man himself – Santa Claus! At the Redwood Creek Trail in Disney California Adventure, you can meet Santa Claus until Christmas Eve. Since he’ll be out delivering presents, you’ll be able to meet a festive Goofy until the celebration ends on January 6, 2018. 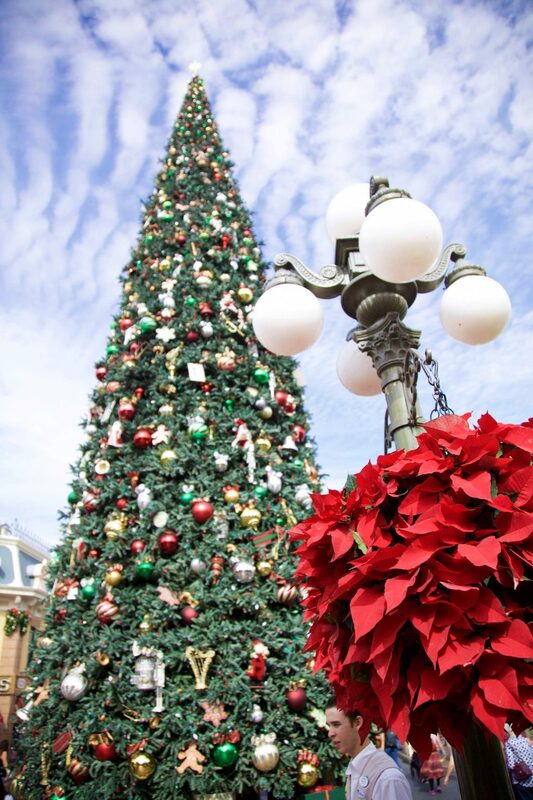 In addition to the holiday décor, you can also enjoy cherished attractions in a whole new light. In Disneyland, both Haunted Mansion and “it’s a small world” get a holiday makeover that’s fun for the entire family. At Haunted Mansion Holiday, you’ll be able to see Jack Skellington and his Halloween Town crew takeover this classic ride. With familiar songs and characters, this not-so-spooky ride overlay is the perfect twist on the holiday season. 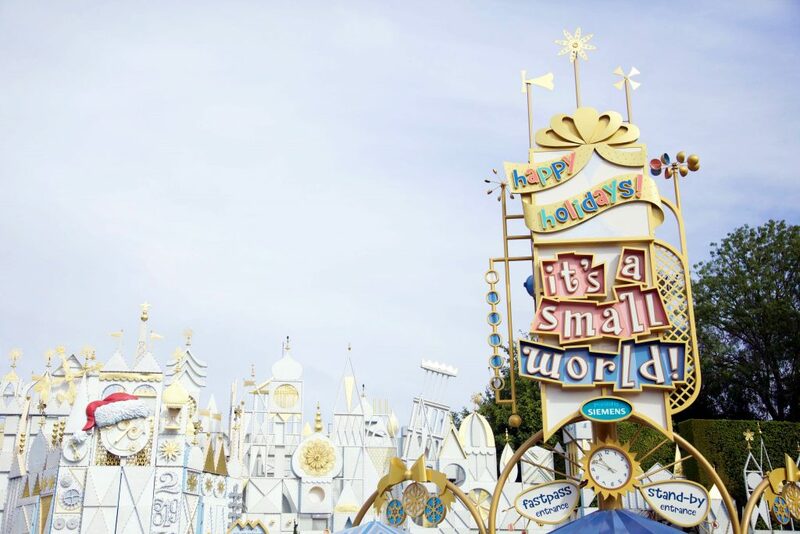 At “it’s a small world” Holiday, you’ll be able to sing along to traditional holiday tunes in different languages! This holiday ride overlay celebrates different cultures and countries, along with their holiday traditions. With fun music, bright lights and festive décor, you won’t want to miss this adorable ride overlay. When you visit Cars Land during the holiday season, you’ll be wished “Season Speedings” by your favorite roadster friends. In addition to the themed décor and seasonal treats, you can enjoy Luigi’s Joy to the Whirl and Mater’s Jingle Jamboree while visiting Radiator Springs. These attractions are much like the original, but you’ll be able to dance and twirl along to beloved seasonal songs. Both of these ride overlays are fun for both kids and adults, so don’t miss them! While the entertainment at the Disneyland Resort is always spectacular, the holiday entertainment is truly magical. With so much to see and do, you’ll want to have enough time to see it all. Luckily, there is a combination of both daytime and nighttime entertainment, so you can catch all of the holiday fun in both parks. A Christmas Fantasy Parades has become a holiday staple and it’s no surprise as to why. This parade features Mickey Mouse, prancing reindeer, joyful gingerbread and beloved Disney characters as they celebrate the holiday season. Plus, you can catch a glimpse of Santa Claus on his trusty sleigh as he comes down Main Street, U.S.A. Because this parade is so popular, I would recommend saving a seat about 15 minutes before the parade. However, if you’re worried about wasting time, grab a bite to eat while you wait! The “Believe… in Holiday Magic” Firework show is one you’ll never forget. With familiar holiday tunes, incredible pyrotechnics and projections of holiday scenes on Sleeping Beauty’s Winter Castle, this spectacular is not to be missed. Plus, you might even be able to see it snow on Main Street, U.S.A.! This show truly encapsulates what the Christmas season is all about and is fun for the entire family. 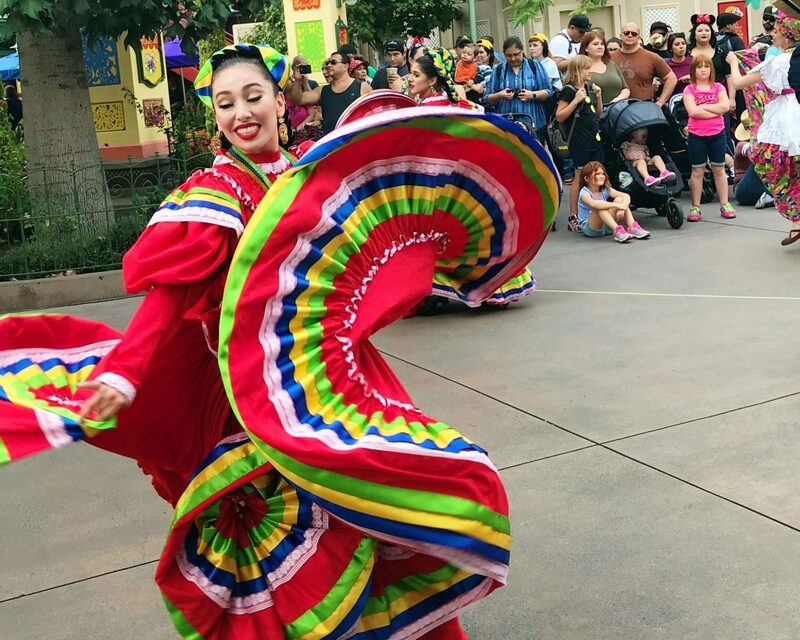 The ¡Disney Viva Navidad! Street Party Parade is my best kept secret. This has to be one of my favorite parades that I’ve ever seen at the Disneyland Resort and not a lot of guests know about it. The ¡Disney Viva Navidad! Street Party Parade is a lively celebration that features bright colors, loud music, dancing and appearances from your favorite characters. Disney isn’t lying when they say it’s a street party! You can find this gem by Pixar Pier and it only lasts about 15 minutes long. The best part? You can easily find a spot to watch this parade 5 minutes before it starts. I promise you won’t regret watching it! While Disney hasn’t officially announced that the Toy Drummers will be making an appearance in 2018, I am keeping my fingers crossed. If you’ve never seen the Holiday Toy Drummers, you are missing out. 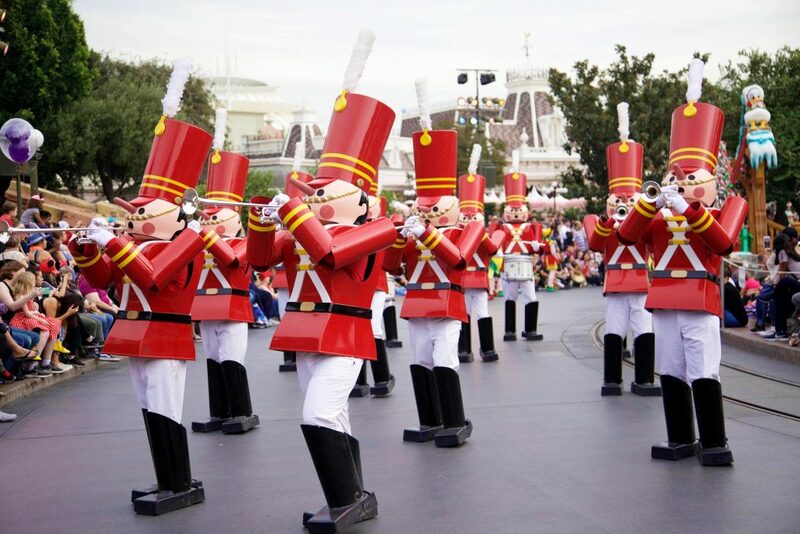 Located by Paradise Bay, you’ll be able to see Toy Drummers come to life and rock out to traditional holiday songs. Although this show is only about 10 minutes long, it is filled with fun, laughter and jaw-dropping talent. Here’s to hoping that they’ll come back for the festivities this year! While this isn’t a parade or show, you’ll want to make sure you stop by the Festive Foods Marketplace. As part of the Festival of Holidays in Disney California Adventure, guests can taste samples of delicious foods and beverages inspired by cultures from around the world. Here, you can try everything from Grandma’s Favorites to Chips, Breads and Holiday Spreads. Last year, they had 12 different kiosks filled with the most delicious drinks, eats and sweets. Although they haven’t announced what they’ll be serving this year, this is quite the treat for any foodie who visit the Disneyland Resort! 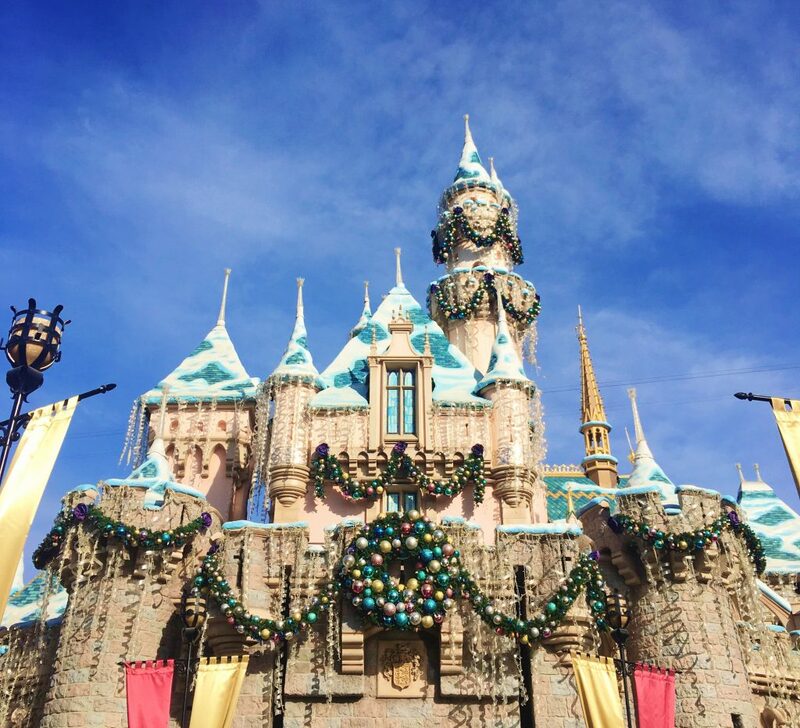 As you can see, there is so much happening at the Disneyland Resort this holiday season! And if you’re like me and are already thinking about holiday gifts, maybe you should consider doing something a little different this year – giving the gift of a vacation. While opening presents on Christmas morning is always special, when you take a vacation for the holiday season, you’ll be able to create memories that will last a lifetime. No more clutter, mess to clean up or forgotten toys. What more could you ask for? Plus, with Get Away Today’s discount Disneyland tickets and hotel specials, you’ll be able to book your dream vacation at the very best price. To find out more on how you can make this holiday season one to remember, call one of our travel experts at 855-GET-AWAY or visit our website getawaytoday.com. We still have ticket specials and hotel deals available, so you can enjoy all of the holiday fun. 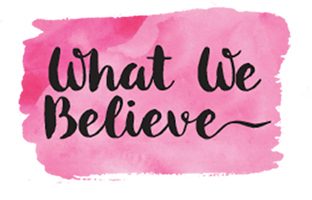 Don’t forget to mention promo code CraftingChicks to save an additional $10 off your hotel and tickets vacation package. Let them know that the Crafting Chicks sent you!